Introduction -- The internet has been very helpful to the hobby of stamp and postal history collecting. Over the years, I've found links to interesting web sites that support this great hobby. Check (me) Bob Swanson's First World War Postal History web page for links that relate directly to that research, and my new books on domestic military camps of WW I. The United States has a National Postal Museum in Washington, DC. We have visited, it is a great experience. StampBoards is a great discussion group for world-wide collecting interests. 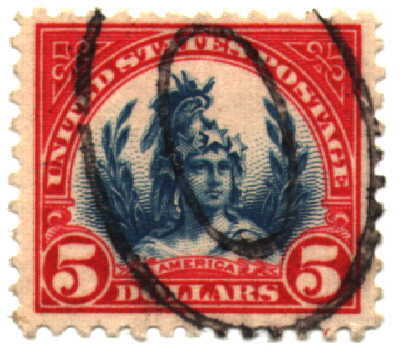 Collectors of covers and postal history often need to understand how items were dated. Various nations have over the years, used different calendar systems. These links should help you with everything you would ever want to know about calendars, at The Calendar Zone and Calendars Through the Ages. Please visit the Machine Cancel Society web page. Check out the RPO Postmark Page! U. S. Postal Bulletins Online Important historical info at your fingertips! Jim Mehrer sells both postal history and materials. He also runs regular auctions. Jim Forte has a deep stock of postal history material. He is maintaining an online list of all US post offices. Gary Anderson offers state postal history. Stamp Shows and Stamp "Yellow Pages"
Scanning covers or stamps? The following link is for some guidelines I wrote for submittal of material for the Military Postal History Society website. The information should be helpful, regardless of the final venue for your covers and stamps.